2 years ago I set out to build a place to store my drills as I was just finishing up my first year of coaching. Now, it's turned into a great project that keeps growing beyond my own original ideas. Over the last year, my viewership grew tremendously thanks to Twitter, Facebook and several new features of the site. So what are those you ask? 1. I've added a LinkedIn page as well to share some of the resources. 2. 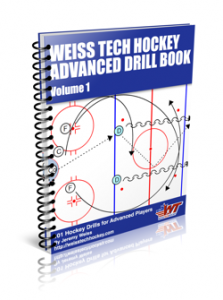 We've added downloadable Blank rinks for you to draw up your own drills. 3. The first ever IHD Newsletter was sent out last month To start receiving those, sign up here. So what's coming? Besides the normal drills, skills and articles, the plan is for a few things. 1. I'd like to get into video demos of the drills. Instead of just presenting the drills to you, I'd like to talk you through them. 2. I'd also like to start to run some contests to encourage you all to submit your drills. I'm working on building some partnerships but if anyone out there has some connections in the industry, I'd love to hear from you. 1. Keep visiting the site. 2. Provide your feedback on the drills and articles. And participate on the Twitter and Facebook conversations. 3. Submit some drills of your own. Even if it's a drill drawn up on a napkin, submit it and we will use it.